Truck transport services are a great choice if you are looking to ship your truck across the country or from the auction to your mechanic. Although auto transport companies are responsible for the transportation of the vehicle, it is your responsibility to prepare it for the trip and make sure that you have documented its condition. To help, here are some of the things you need to do to prepare your truck for shipping. The first thing that you have to do to prepare your truck for shipping is to give it a good wash. Once that is done, take some time to inspect it thoroughly for any type of discoloration, dents or scratches. Although small dings and scratches can happen during transportation, it is a good practice to inspect your truck before handing it over to a transportation company. Ensure that your truck’s fuel tank is not more than ¼ full while your truck is being transported, so there is no need to fill the tank prior to loading. A full tank adds extra weight to your truck, which can be risky during shipment. Make sure to leave as little fuel in the tank as possible when preparing your vehicle for transport. Check for any noticeable leaks before your truck gets loaded onto the shipping vehicle. If your vehicle has a visible or destructive leak, the truck shipping company can refuse the service. If you have noticed it before, ensure to get it repaired prior to the moving day to avoid fatal accidents. Inspect the interior and exterior condition of the truck and maintain an inspection report of any scratches, dents, chips, or any cosmetic damages, inclusive of the mileage. This will help you to compare the final condition of your vehicle with the actual one at the pickup location. Any truck shipping company that offers vehicle transfer facility is required to have appropriate insurance to cover any damage to the vehicle during transit. Ask your truck transport company for their insurance certificate and check what all is covered in case of any damage or theft during transit. Minimize the risk of damage while transporting your truck with EasyHaul. 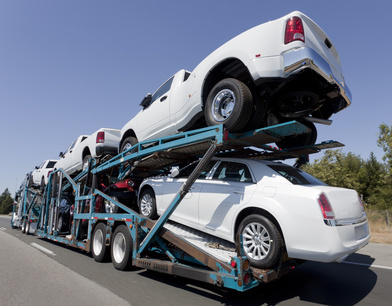 We are a renowned auto transport company in the U.S. With years of experience in the shipping business, we assure people to deliver vehicles safely to their place. We offer the best truck transport services at competitive shipping rates. For more information on our truck transport services or get a truck shipping quote, contact us at +1 (360) 597-9320 , or fill out our contact form.